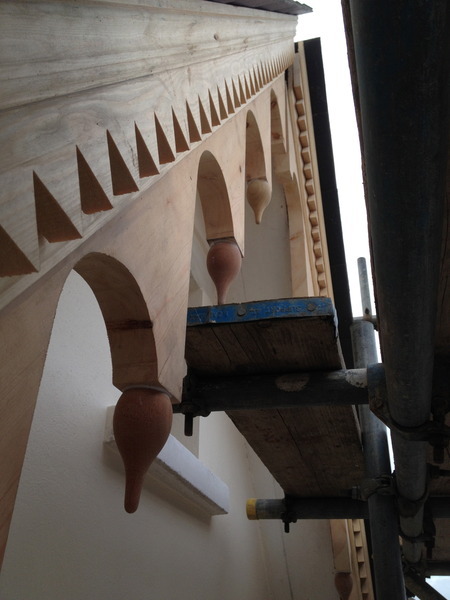 Traditional family Builders serving Surrey & South London. We are proud of what we do and we do it well . With eclectic designs, first class craftsmanship, integrity and personalty Hendry Builders are your first call when your property is concerned. 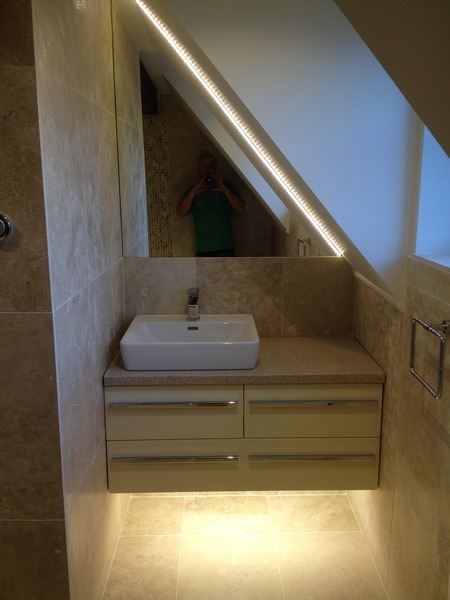 All aspects of Building & Refurbishment works undertaken. Extensions, kitchens, bathrooms, tiling, carpentry, plastering, decorating, brickwork, plumbing & heating, electrical, excavation, landscaping & driveways, concrete works, garden structures, maintenance or even just advice. Custom made polished concrete furniture, basins etc, decorative micro toppings for floors & walls. Fully insured, Fully referenced, Fully qualified, Fully prepared to take your job on. I had a number of projects, which I was thinking of doing separately. Hendry found a way of combining them into a single project in order to make the whole thing more cost effective. The strength of Alec is his all round skills and service. Design, project management, building, and craftsmanship. Not just a builder. He has studied design and takes a lot of time and thought into coming up with the best design for your needs. Listens to your ideas and comes back with various proposals. The end result being better, more cost effective, and practical than that put forward at the outset. 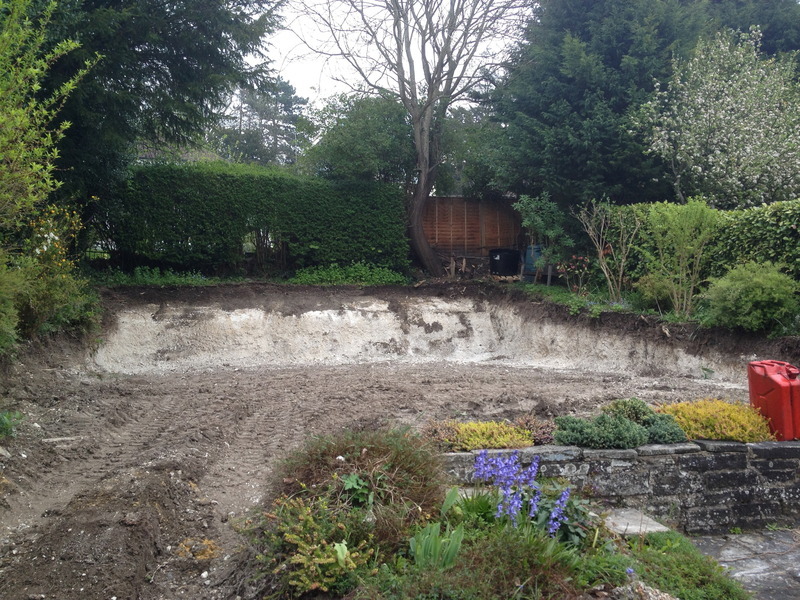 I had a garage partially demolished and replaced, a large garden excavation with a new patio and retaining wall, and a ground floor extension. Due to the difficulty of access and the large amount of earth to be removed, logistics were tricky. The way the jobs were combined made the whole thing possible within my budget. We are very pleased with the results and have had many compliments. The fact the works were very visible from the road, particularly the garage, means I’ve had quite a few enquiries from interested neighbours asking how the work was done and who carried it out. Hendry builders were excellent from start to finish of our build. Alec is a very kind and patient operator, always making sure that our needs and requirements were being understood and met. He has a great vision and was really good at interpreting what we were asking for and delivering a fantastic build. Alec and his partner Ben did the majority of all of the work from preparing the ground all the way through to decorating the finish build. At every stage I had full confidence that they were giving us a top quality service. They were very flexible and understanding, at the time of the build we had a new born baby and they were always happy to work around our needs. Both Alec and Ben were supremely friendly and polite throughout the build to us, our neighbours and all of the other workers that contributed to the build. We are absolutely delighted with the end result, the high-quality finish is excellent and it has transformed our daily lives. We would most certainly use Alec and Ben again, in fact we already have done so since the original build. 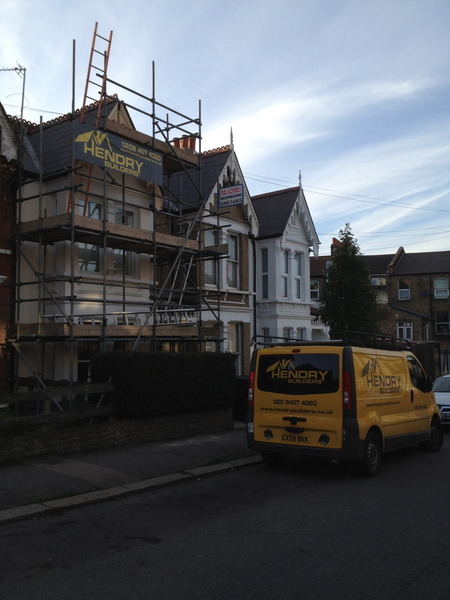 We would certainly recommend using Hendry builders. We moved into a house that required lots of external work. Alec and Ben replaced barge boards, put up new guttering, painted the outside of the house, reshaped our driveway and installed garden security lights. They also gave the shower a refurb and did some internal carpentry. All their work was of an excellent standard and we were very happy. More importantly both guys are genuinely very nice people. They are polite, always take their shoes off inside the house and respect your home. We were kept in touch throughout the job and genuinely felt in safe hands. 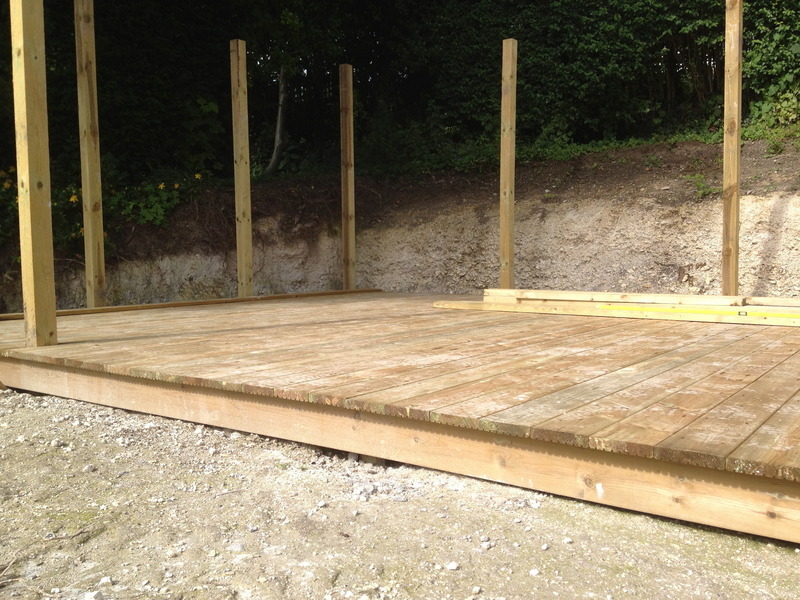 We were delighted with the work and would highly recommend them. Alec and Ben were top notch. Unfortunately for them my Garden Studio brief was vague and as such the project evolved as we went. This flexibility suited both Alec, who always had an solution for those unforeseen head scratching moments, and myself. They delivered everything I wanted to achieve, on time and to the very highest standard. We asked Hendry Builders to reroof our nightmare leaking garage that had previously defeated other attempts to deal with the problem. It was plain from the outset that Alec had the knowledge and skill to do the job. With diligence and unfailing good humour Alec and Ben have left us with a sparkling clean, dry building that we have pleasure in using. Pricing was reasonable and job completed on schedule. Alec and his team made an awkward, finnicky, job a pleasure. it involved improving a garage to make it more usable - so a bit of everything - waterproofing,. insulating, wiring, plumbing... Alex was unfailingly pleasant and fun throughout, and the finished job is brilliant. The job came in on budget, albeit a little late (but not really later than expected). Hendry Builders removed the wall between the kitchen and dining room. Installed supporting steel. Fitted new kitchen, new wooden floor, under floor heating, all electrics and decorated throughout. The quote was very competitive, very high standard of workmanship. Alec continually communicated with us to make sure we got everything we wanted. Coming up with new ideas we didn't even think of. Dust was kept to a minimum by sealing off the area, Alec and Ben are very polite and friendly. We felt completely comfortable leaving them in our house and we would defiantly use them again and would highly recommend them to others. Our 100-year old chimney was damaged when the TV aerial came loose in last winter's storms. Alec Hendry replied promptly to our request for a quote, came up with a good price, and remained in email/phone contact until he could do the job. When he was able to start, he arrived at the promised time, carefully explained what he was doing, and made sure we agreed. He and his father completed the work efficiently and neatly at the quoted price and time, and were polite and friendly throughout.